Links to a few of the games I’ve had the honor to be a part of. Genre: Fantasy/Sci-fi classic RPG in the vein of Baldur’s Gate, Pillars of Eternity and Divinity Original Sin. Involvement: Tapped mid project development, after most of the gameplay and functionality was complete. Responsible: Story consulting/developmental editing to reshape, restructure and embellish clients original story concept into a genuine and executable story. Editing/localization for first two game levels, original development and script for all later levels (3-11) and game supplementals. Involvement: Tapped late in project development, after most of the gameplay and functionality was complete. Responsible: Story consulting to reshape and refine core concepts, in-game dialogues, event trigger dialogues, unit descriptions, and more. Involvement: Tapped after beta in preparation for full release. 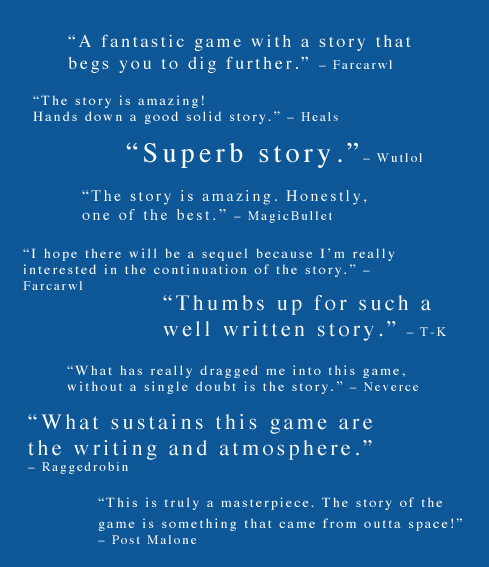 Responsible: Localization (Canadian company, original texts in French) and line editing full game narrative. Responsible: Opening narrative, story development, unit descriptions, and more. Genre: Fantasy Isometric Turn-based strategy RPG. Responsible: Ground up story development, quest/item/NPC writing, Kickstarter page consulting and editing, and more.